Because, you know. French and whatever. Not So Small Anymore Son has spent the last week in France with the school. I only ever went on one trip with the school and that was the ski trip when I was in the second year. Or what they now call Year 8. I get confused by this new-fangled stuff. The ski trip was the thing of nightmares; a comedy of errors that only I could get caught up in (literally caught up in the Incident With The Drag Lift) and to this day, anything by the Stray Cats will set me off on a chain of memories that lead to night sweats and sheer terror. This track in particular. That track was on my Walkman whilst we drove down the autobahn at insane o’clock. Everyone else was asleep. I can’t sleep in transit, so I was staring out the window at the huge snowdrifts and listening to my Stray Cats tapes (note: young people, Google it. Cassette tapes. You haven’t lived until you’ve had to wind the entire spool back into the tape with a pencil). I discovered several things during that school trip so many years ago. I can’t sleep in transit. Never catch a drag lift and go up leg-first. There are fences in the most unexpected places on mountain edges. Just because you are careening towards a sheer drop doesn’t mean you will die. Do not suddenly wish you were religious. Instead, save your energy to save face after the inevitable collision with said fence and tangle of limbs that ensues. Side-stepping down the entire mountain is tiring. But the only option for several of us who’d never been skiing before and were told to ski to the bottom. Alone. Liking the A-Team is fine. I also discovered the joy that is Ritter Sport Marzipan during that trip. I still go all foamy at the mouth if I see it and have to buy it. Anyway… that was in 19… er… it was quite a long time ago. I remember that in the middle of the week, everyone crowded round the pay phone with a handful of schillings and called home to our anxious parents to reassure them that we were Still Alive And Hadn’t Fallen Down A Mountainside. One phone call for the length of the entire week. The Small’s school are modern and hip and all that jazz. They video blogged the day’s events every day of the French trip. The Small sent me a text every night. That may be a little unfair. He did show up in a couple of shots, and my word, he looked bored. Whether it was just an unfortunate camera moment or whether he actually was bored remains to be seen; he’s home today and he’s coming here tomorrow from his dad’s, so I plan to take him to lunch (probably not baguettes) and interrogate him. Also, I’m glad he’s home. Looking for a good time? You took a wrong turning, me laddo. MWAHAHAHAHAHAHA etc. Edits for Valkia the Bloody are going very well; up to chapter 13 of 17, so that should be in to the Editor Beast by Sunday. Then I have what we shall call Project: Bedfellows to crack on with and there’s a couple of other Things in the pipeline. Also, there’s another couple of pre-release Gildar Rift signings – one in Durham on 12th November and the other at Warhammer World on 19th November. 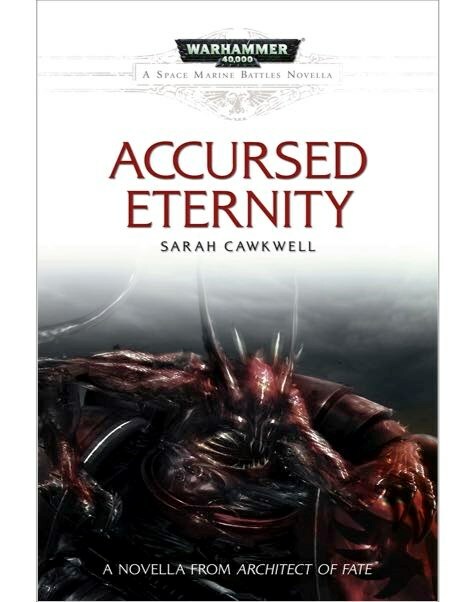 This entry was posted in General, Writing and tagged Accursed Eternity, Black Library, Family, Gildar Rift, I'm an author now, life, Valkia the Bloody, W40K, WHF, Writing.